United States Life Insurance Company in the City of New York, hereafter known as USLICNY, is the subject of this health insurance review. 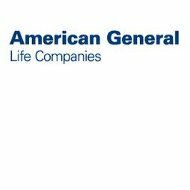 This company is part of American General Life Companies and one of only two AIG subsidiaries still licensed to sell insurance in New York State. They should not be confused with New York Life, the single largest mutual life insurance company in America. USLICNY is significantly smaller than New York Life and with a reputation not nearly as grand. Competitive health insurance rates can be yours when you enter your zip code into the box below. USLICNY has a long and storied history beginning with its original incorporation in 1850. Easily one of the oldest life insurance companies in the country, USLICNY enjoyed great success right up through its acquisition by AIG. That said; the company also has a long list of insurance regulation violations and hundreds of thousands of dollars worth of fines in nearly a dozen states. While the company still is in existence, today it is a shell of what it once was in its pre-AIG days. All four types are intended to be supplemental health insurance to pay for expenses that your primary health insurance plan does not cover. For example, your primary insurance will not cover lost income if you cannot work for a time after an accident. USLICNY’s Secure Income Plus policy will. Like any insurance company, USLICNY claims its customer service is superior to their competitors. Whether or not this is actually true rests with the customers who purchase their products. Regardless, the company does provide a variety of options to access customer service. Their main website is the place to start. It contains a large amount of information about the company, the products they offer, and the services clients can utilize. The second option is to contact their customer service department using a toll-free number provided on the website. The customer service center is staffed 24 hours a day by insurance professionals who can answer your questions and help you solve problems. If you prefer to access customer service online the third option is to create an account on the company’s online portal. With an online account, policyholders can check their current coverage, manage current policies, purchase new policies, etc. Claims also may be initiated through the online portal but you’ll still have to interact with a claims representative either over the phone or through e-mail. American General utilizes independent insurance agencies known as “producers” all across the country. They distinguish their producers according to four categories of products, which may or may not be available in every state where they are licensed to do business. How far this business model extends in New York State is unclear. However, we assume that all products available in New York State will be made so through an independent agent. Despite the well-documented troubles of AIG and USLICNY’s checkered past of fines and violations, A.M. Best still gives the company a fairly high rating of A+. This rating speaks to the significant financial strength enjoyed by USLICNY as well as its short-term outlook for the future. At the end of the 2010 fiscal year, USLICNY was doing very well with reported assets in excess of $5 billion. Start searching for health insurance rates among companies just like this one by entering your ZIP code now.